Act Out Now – Education through Action! Act Out Now is dedicated to bringing service learning opportunities to young people to help build community and foster a culture of kindness. This site is a platform from which to jump into action. Here you'll find resources, events, and opportunities to connect with fellow human beings in and around Chicagoland. 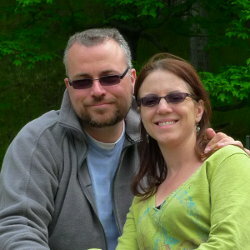 We are Chris and Mike McGuire—college teachers and homeschooling parents. We started this site because we believe that learning happens best by living and engaging in the world around us. We also believe that service, civic engagement, and social responsibility are at the heart of healthy communities and a better world. Please join us in our mission toward doing our parts. As Dr. Martin Luther King Jr. said, "If I can't do great things, I can do small things in a great way." Let's do small and great things together. It is not enough to be compassionate; one must act.